Ehrlichiosis a term used to describe bacterial infections that affect both animals and humans. Its main pathogens are Ehrlichia chaffeensis and Ehrlichia ewingii; however, a third Ehrlichia species has been identified and is provisionally called Ehrlichia muris-like (EML). E. chaffeensis is known to be a rickettsial-like bacteria, which makes it related to anaplasmosis – another tick-borne infection. The disease is transmitted to humans by the bite of an infected tick, particularly that of the lone star tick (Amblyomma americanum). In the U.S., incidences of ehrlichiosis are closely related to the distribution of the tick and its mammal vectors, like the white-footed mouse and the white-tailed deer. Most cases occur in California and Texas, as well as in the southeast and northeast regions of the U.S, including state west of the Great Lakes. Ehrlichiosis is seasonal in nature: It is usually observed between April to September. After an infected tick bites a person, E. chaffeensis will have an incubation period of up to two weeks, after which the symptoms will occur. However, tick bites are painless that people do not remember having been bitten in the first place. Symptoms of ehrlichiosis can vary. In some cases, they are so mild that some people do not seek medical attention, and the body fights it on its own. However, if it is left untreated, it can result in a serious illness that may require hospitalization. Ehrlichiosis is primarily transmitted through tick bites. It can affect the whole body. Getting the right kinds of food to help address ehrlichiosis and other tick-borne diseases help keep the risk of having a complication to a minimum. Ginger and licorice are known to help with ehrlichiosis as these support the immune system and increase the production of white blood cells in the body. The first line of treatment that healthcare professionals will recommend is antibiotic treatment. For ehrlichiosis, doxycycline is used to prevent the onset of any severe complications effectively. If the person is treated within five days from the start of the disease, the fever will subside after 72 hours at most. However, children and pregnant women may require specialized treatment to account for their current condition. Ehrlichiosis a term used to describe bacterial infections that affect both animals and humans. Its main pathogens are E. chaffeensis and E. ewingii. 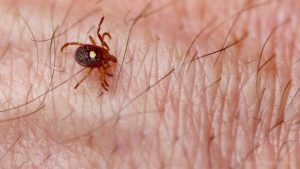 The disease is transmitted to humans by the bite of an infected tick, particularly that of the lone star tick. After an infected tick bites a person, E. chaffeensis will have an incubation period of up to two weeks, after which the symptoms will occur. However, tick bites are painless that people do not remember having been bitten in the first place. Symptoms of ehrlichiosis can vary. In some cases, they are so mild that some people do not seek medical attention, and the body fights it on its own. However, if it is left untreated, it can result in a serious illness that may require hospitalization.